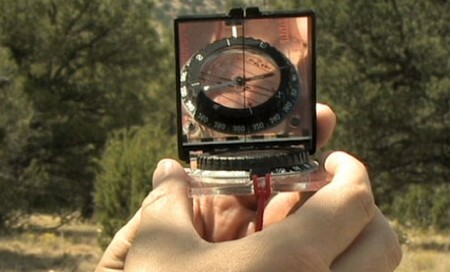 Learning to use a compass correctly is an essential piece of information. Knowing how to read and follow and compass can mean the difference between you being temporarily lost and major distress. Taking the time to learn the proper way to read and use a compass is definitely worth the effort. Educate you whole family. Take your family on a camping trip and assign different locations. Make it a race to see who came make it to the destinations first using only a compass. Learning can be fun and great for the entire family. Here is more information on how you can use a compass. Read on for more. Position the compass in front of you so the face is visible to you. Then, position yourself in the right way so that they compass needle indicates that you are facing magnetic north. There is only one direction the hand can point to so you can’t make a mistake here. Make sure you allow the needle to rest in the exact position that indicates north. Turn slowly to ensure accuracy. Turn the whole compass to make the hand is now situated in the orienting arrow in the compass. The orienting arrow in most cases is painted a bright red. It’s a stencil and its aligned on the compass casing. Make the north end of the pointer and the zero degree mark on the compass casing parallel. They should both now be indicating the magnetic north point. You’ll need to be positive that both the needle and orienting arrow stay pointing in the direction of magnetic north. Turn the compass itself until the line of travel leads you straight into the place you need to go. Be sure you are keeping everything lined up properly. Pay attention to the degrees marks on the compass dial. These are made in the direction of where you intend to move. These are there to indicate the number of actual degree that are in the direction of your destination. This is very important to know and to understand when you are learning to use a compass. Now you are prepared to start using a compass. Good luck. Aim for accuracy when you are measuring. You can give yourself a one degree margin of error but no more. If your measurements are precise in terms of direction and landmark, the compass will direct you properly even if the landmark is not visible to you. Make sure not to switch the magnetic North section and the South direction. They are essentially opposites.